It's already past 1 am in Manila on 6th June, and I'm putting up my post for 5th June. Late I know, I couldn't catch a break at work and had a great dinner with some friends I haven't seen in a while, so I went home later than I expected. But I'm still posting this because I figured, somewhere elsewhere in the world, it's still Tuesday, just like at any given time, somewhere around the world, it's happy hour. 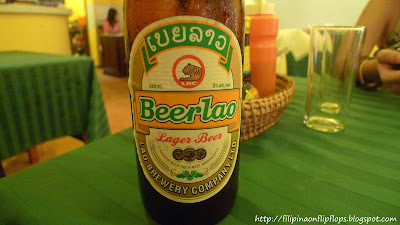 Hence the Beerlao photo. Also, local beer and shirts with local beer brands for designs - I'm definitely not the first traveler who's been caught up in their strange allure, but I'd still like to explore why they're so fun to buy. Remind me to write about that another time.